Ghost ’n Goblins is a classic game series known for its brutal difficulty and anyone who has discussed the most difficult games of all time is definitely going to mention Ghost ’n Goblins. Unfortunately, there has not been a proper entry since the SNES version, and that’s not counting the terrible phone games released in 2006. Battle Prince Madelyn came out late last year and was the closest thing we had to a new entry, and now developer Locomalito and publisher Abylight are bringing over their title Maldita Castilla over to the Nintendo Switch in the form of Cursed Castilla, and this is definitely the nostalgic homage to Ghost ’n Goblins you’ve been waiting for. Like Ghost ’n Goblins, Cursed Castilla has a straightforward plot. The kingdom of Tolomera has been overrun with evil monsters and in response King Alphonse VI summons his knights to put an end to the nightmare. With a barebones story, Cursed Castilla plays how you would expect a side-scrolling 2D action game to play, but there is also plenty of variety. Each of the eight stages has a new looking every section within a stage presents a new challenge. You may be in a cave where your only source of light is provided by a little creature holding a lantern, or you might be on a moving stagecoach fending off waves of flying enemies. This variety also carried over into the 19 different bosses you encounter as well and each one stood out in their originality. As stated before, Cursed Castilla is brutally difficult just like Ghost ’n Goblins and you can only take three hits before you die compounded by the minimal health items found throughout the stages. Fortunately, there are a few quality of life fixes that Ghost ’n Goblins never had and it makes this game much less frustrating than that series. For example, in Cursed Castilla your base weapon is a sword which you can only throw two at a time. You can switch it out with a new weapon you have hidden and instead of being stuck with what you pick up, you can let a weapon power cycle through what you want before picking it up. Another quality of life improvement Cursed Castilla has is its save function. In a Ghost ’n Goblins playthrough, you may have had an infinite amount of continues, but all your progress was lost as soon as you shut the game off. With Cursed Castilla though, every time you beat a chapter it’ll save, so if you get through the first few chapters without having to worry about shutting off the console. Being able to save your progress really does give more people the chance to not be daunted by the difficulty. Now, this does not mean you’ll be let off easy though, as each stage will make you work for victory and these are bookended by boss fights. Plus, all four different endings for Cursed Castilla are separated by skill, with one ending forcing you to beat the game using only four continues and another requires you to beat the game without using any continues at all. If you still need to test yourself, you can compete against other players with a speed run mode that tracks your time or you can try to get the highest score you can. This new version of Cursed Castilla adds new weapons and secret weapons and there’s also eight stages now instead of six. Enemy and item positions have changed, as well as new secrets added so fans will have to relearn new levels. The developers also added ten different viewing modes for the title, such as having CRT TV lines or borders. Finally, there is an in-depth codex which can be used to look up monsters or items and you can even listen to specific tracks from the soundtrack too. Speaking of soundtrack, it is absolutely stellar and fits the mood and pixelated aesthetic perfectly. This sounds like something you would play from the early ’80s and ’90s in all the best ways and lovingly created to sound like the games it’s inspired by. Visually, Cursed Castilla has a great 2D retro art style that would fit in at any 80’s arcade. The art style really makes the world feel alive with more than enough detail in enemies, bosses, and backgrounds. 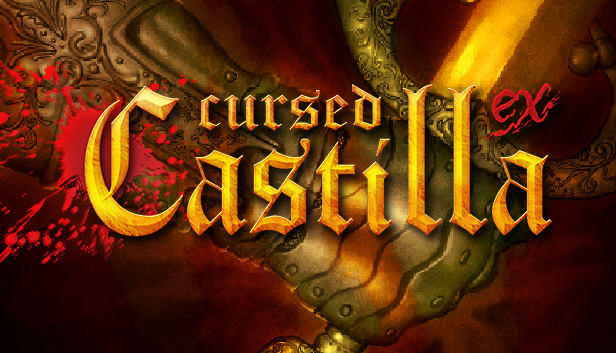 Overall, Cursed Castilla is only $13.99 on the eShop and it is definitely worth it if you love retro experiences. It does an excellent job of emulating that classic Ghost ’n Goblins feel and while it is short and there are some overly frustrating moments, Cursed Castilla is an underrated gem that deserves to be in your Switch library.